Explore colorwork while knitting this delightful striped shawl with an attached lace border. 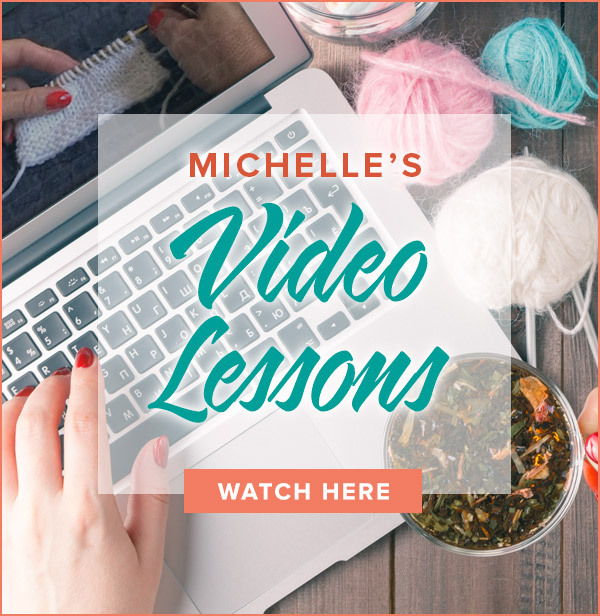 This is my most comprehensive video to date which covers Intarsia, carrying yarns, detangling, lace work and more. Just for Part 1. The beginning set up can be a little tricky which is why I made the video. The other parts are pretty straight forward. Happy knitting! Is there a part 2 3 4 video for this shawlette.? Just found the video for Ridgely. Looking forward to making this shawl. Love it. The pattern is full of video links, but Part 1 is the only section with its own specific video. I have the yarn and am ready to start. Loved your video part 1. Is there a part 2 ? I had some yarn that on hand that would work with this Ridgely pattern, but it only has 147 yards per ball. There are about 220 yards on the Cobasi. Will these smaller balls be enough or do you use most of the 220 yards? i actually have already started the project and don’t know if I can get more. Thanks for your interest in Ridgely. It is currently in its 4 part knit along format. Go to the KAL page on my website for each section. It will be in a condensed, one piece format for you to download for free next week. I saw this Ridgely scarfette at a yarn shoppe near my home. She didn’t have the pattern and said it was one I could download from you, but I am having trouble finding it. Where can I go to get the free copy? I am so proud of all your accomplishments! I’m happy Building Blocks was able to advance your knitting. Don’t worry about being late to the KAL – there is plenty of time to finish. Got a late start after finding no time to work on this over the weekend, but I can already see (after just the one repeat – better get chugging, huh?) that the lace is really quite attractive! I started knitting with your building blocks, and am just so happy to be back, a year later, as quite an accomplished knitter! You gave me the confidence right from the start, to just jump in and give it a go, and I’ve had so much fun. Thank you! I admire your persistence and it paid off! Keep up the good work! I made several errors in the lace pattern,tried “frogging”, but I saw the lace pattern wasn’t going to look right, so I tore it all back and started over. I am happier with it now, and I put in a LifeLine with dental floss after the 12 rows to mark repeat ending. Glad to have you back with us! Let me know if you have any questions. Glad to have you back with us! I’m happy I could save you from poking your eye out! thanks so much for having another kal~ while i didn’t finish the crimple’s on time, i did finish them! i was excited to start a new project and one that uses methods i’ve not tackled before~if it weren’t for your video’s, i surely would have poked myself in the eye trying to figure out the first rows of ridgely~ i have found your video’s to helpful a number of times…thanks! Yes, Set Up rows are only done once and are considered a part of the first repeat. You do the repeat a total of 19 times. You are off to a good start. The stitch count is not constant so you will have different #s for different rows. Keep up the good work! I love that you are having a good time learning new techniques. I think that is what keeps me forever interested in knitting – there is always something new to learn! Thanks you so much for inviting me to participate in this knit-along! I know I will learn a number of techniques that I have been keen to learn. Additionally, I want to thank you especially for information, not only about techniques, but organization. Your tips about the direction for turning your knitting based on whether you just completed a knitted or a purl row are invaluable. Also, although you did not mention it specifically, I found how you set up your 3 balls of yarn – the order, and the fact that you did not ever move them again or need to touch them for any reason while knitting, made me realize how important good organization is for obtaining great knitting results. I am really enjoying this. Thanks again! I am SO excited to start your new KAL! I did your last one and the socks look great. You do a wonderful job with your instructions and your videos. Thank you so much for teaching us different (and challenging) techniques. Wish I had seen you! I love that color combo, too. Just got my yarn yesterday when I was down in Columbus at Temptations! I’m using the off white and lavender! I can’t wait to get started!! I did not use a bobbin since my yarn skein served as a big bobbin. You will use more of the contrasting color as the shawl gets bigger. I used Long Tail cast on but any cast on will work for this project. Do you have a recommended cast on for this project? I will address finishing at the end of the project. I used pins for my shawl and it was just fine. I would not steam until the end of the project. I am very proud of you for sticking with it and challenging yourself! I may be getting ahead of myself but I can see that a lace patern will need to be blocked; would you please – and perhaps you planned that with the finishing instructions- tell us if wires will be needed and where to get them. Will pinning be enough? When would you recommend steaming? I kept looking for the 3rd tail to tie and thought I was doing it wrong. But it must have been that my casting-on keeps it at the other end and I only had two tails. For me as a beginner this pattern had me on the verge of tears last night :0 I was tired and it was late, had to begin again 5 times. I have done two repeats and they’re perfect, however, I don’t dare work on this in front of the tv. My brain hurts but it is such a beautiful pattern and I’m chugging right along now. I love how I’m acquiring new skills. Thank you so much, Michelle. No apologies needed. I am glad you are back on track! Congratulations on your successes! You are a perfect example of what this KAL is all about – furthering knitting education. Keep up the good work! I read this over and said I will never be able to do that. Then I watched the video’s and thought maybe I can do this. Then I cast on the first 16 stitches and started to try and follow the video. I ripped out my first attempt after the first 5 rows and started again. I am now on my 2nd attempted and it is going much better. I may be able to do this after all. Thanks so much for the video. I would not have managed without it. This is my third KAL and I have already learned a lot that I didn’t know about knitting. The video postings are a great teaching tool. as a postscript I am on my third pair of socks thanks to the previous KAL and improvising as well. Thanks for joining us! Glad you found the right needle for you. I’ll do my best to speak up in the future. 1. The chart can be daunting for new knitters which is why I provided written instructions as well. Use which format suits you. 2. I did use chunky yarn in the video so it was easier for you to see the stitches. I did knit quickly or else the video would have been 40 min. long. 3. The Set Up Rows are only done ONCE and never again. After the Set Up Rows you go to Row 3 in the Striped Body/Lace section and work it through Row 12. This counts as one repeat. You will then work Rows 1-12 18 more times for a total of 19 repeats. I will post Part 2 instructions next Thursday. I just started knitting in January and wondered if I’d be able to do this. And, yes, this is also my first KAL. As long as I can stop and restart your video (mostly for placing the yarn when interlocking), I seem to be keeping up. I’ve never encountered a chart so that looks Greek to me so I’ll have to study that a bit. Are you using the same yarn specified for the project in the video? Yours seems much chunkier than mine. During the video I paused quite a bit to catch up with you since you’re such a quick knitter. Now that we’re finished with the first 12 rows (the 1st repeat), am I understanding this correctly that I should work those 12 rows (using the set up 1 & 2 rows OR the body/border 1 & 2 rows) another 19 times? Ending with 59 sts in Body area and wait for next Thursday’s posting? 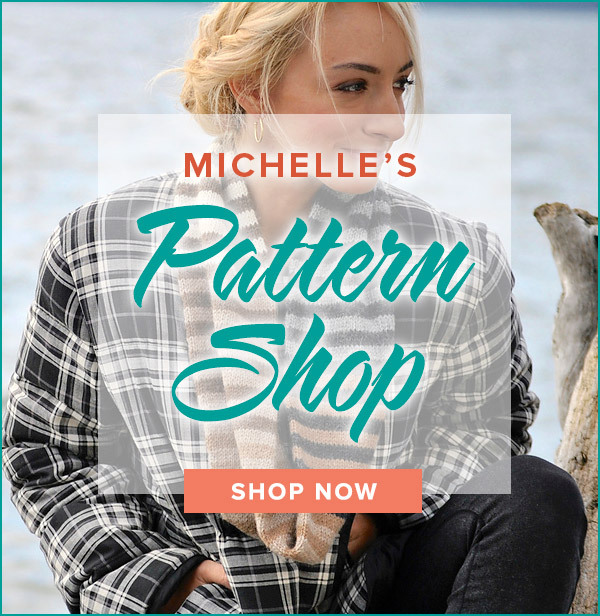 Thank you for sharing your knowledge and excellent videos with this new knitter! Thank you for the feedback. I am always working to improve every video. I guess you have completed filming, so my comment is late. In the future, please speak louder and directly into mike…your voice often fades. I have my iPad sound turned to the max and I do wear hearing aids. I think there may be others like me. The video is excellent but I miss some of your comments. It was just brought to my attention and the chart has been corrected in both the post and the download. I am so sorry for the error, but good I-spy eyes on you! It looks like row 11 on the chart is missing the k3tog… Unless maybe I am not reading it correctly? Thanks! I had fun filming this one. I always use addi needles for my projects. Happy knitting! I just viewed your video and WOW it is fantastic! I just might be able to do this! I don’t have the yarn yet . I have to say your teaching is so clear and easy to follow. What type of needles are you using? They have a clear cable and I can see the size! They looked very nice. I hope I can get the yarn this weekend and start. Thank you for your encouragement . Just viewed your video for Ridgely and there are a lot of First for me..I have my yarn and needles and will give it a try later today..I purchased the yarn you used in your sample colors for class but a different color from Fiber ..sure hope I can do it..yarn and needles are much smaller than what you used in video but I understand the reason..I may have questions later..Thanks!